AMBER, the SFI Research Centre for materials science based at Trinity College Dublin has announced a research collaboration with DePuy Ireland Unlimited Company and Johnson & Johnson Services, Inc. The overall goal of TRANSITION, the five-year project funded under Science Foundation Ireland's Spokes programme, is to develop a new class of 3D printed biological implants that will regenerate, rather than replace, diseased joints. 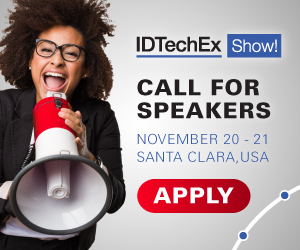 For more information see the IDTechEx reports on 3D Bioprinting 2018-2028 and Tissue Engineering 2018-2028. This project has the potential to transform how we treat degenerative diseases such as osteoarthritis, which at present affects around 915,000 people in Ireland and is thought to affect 10% of the world's population over the age of 60. Science Foundation Ireland has provided 35% of the funding, with the remainder provided by DePuy Ireland Unlimited Company and Johnson & Johnson Services, Inc.
Orthopaedic medicine involves treating conditions that affect the bones, soft tissue and joints. 3D printing has the potential to transform treatments in orthopaedic medicine and the orthopaedic device industry, enabling the development of personalised implants and accelerating the supply chain of device companies. TRANSITION aims to develop a hybrid device consisting of a titanium core (providing mechanical integrity) overlaid by a layer of functional tissue (engineered bone and articular cartilage) which will be particularly suited to hip and knee implants. In working towards this aim the project team will strive to advance the underpinning science and technology of metal, polymer and biological 3D printing as well as surface treatments and functional coatings. These advances will have direct benefits for improving existing implant technologies in parallel to the end goal. A key goal is to have a subset of products ready for regulatory submission and clinical studies by the end of the research programme. The announcement was welcomed by Minister for Business, Enterprise and Innovation, Heather Humphreys, TD, who stated, "The TRANSITION collaboration is a step forward in the development of next generation medical devices. The combination of biologics and technology in medicine is an exciting field and I am delighted to see the SFI Research Centre AMBER leading the way for Ireland in this transformative sector. Government is focused on supporting an environment that facilitates collaboration between industry and academia, bringing to bear the expertise and infrastructure within Ireland's higher education institutions in the pursuit of significant advancement in global healthcare." Prof Michael Morris, AMBER Director said, "TRANSITION will build on the combined expertise of both AMBER Investigators and the Johnson & Johnson Family of Companies in manufacturing, surface science, biomaterials, tissue engineering and 3D bioprinting to develop new classes of medical devices. The Spokes programme will leverage key infrastructure in the two new laboratories established by AMBER in Ireland: the new 3D bioprinting lab being established and funded by the Johnson & Johnson Family of Companies and Trinity, and our new AR-Lab (Additive Research) laboratory." Prof Mark Ferguson, Director General, Science Foundation Ireland and Chief Scientific Adviser to the Government of Ireland commented, "Science Foundation Ireland welcomes this new AMBER collaboration with the Johnson & Johnson Family of Companies. Having recently invested in the development of the Additive Research laboratory at AMBER, I am delighted to see that this state-of-the-art facility is already attracting investment and collaboration from industry. Science Foundation Ireland is pleased to fund this world class research, which will hopefully lead to next generation orthopaedic implants that can positively impact the lives of millions of people." Prof Danny Kelly, AMBER's lead Principal Investigator on the project said, "Realising the ambitious goal of a new hybrid device to replace diseased joints will require addressing existing challenges in the 3D printing of metals, biodegradable polymers, bioinks and cells, and subsequently integrating the printing processes of these diverse material sets to develop hybrid metal-biological devices capable of restoring joint function. In doing so, this programme of research will transform the production of metallic orthopaedic devices used in hip and knee arthroplasty and has the potential to transform how we treat degenerative diseases such as osteoarthritis." "This strategic collaboration builds on the work of our Innovation Centre in Cork (Ireland) and will help identify healthcare solutions that will ultimately enable us to advance care for patients through transformative technologies," said Euan Thomson, Head of Research and Development, Johnson & Johnson Medical Devices Companies. "Our collaboration with these industry-leading experts will allow our teams in Ireland and across the globe to further our extensive research into 3D printing for therapeutic use, not only in the orthopaedics space, but across our entire Johnson & Johnson portfolio." Osteoarthritis (OA), the most common form of arthritis, is a serious disease of the joints affecting nearly 10% of the population worldwide. At present the treatment option for end-stage OA is limited to surgical replacement of the diseased joint with a metal and polymer prosthesis. Although the outcomes of such operations are generally excellent, revision surgery is not uncommon, especially for younger, more active patients where due to age and lifestyle their initial implant is likely to require replacement. Given that the number of total hip arthroplasties performed annually is predicted to double over the next 25 years, innovative new approaches are necessary. Science Foundation Ireland's Spokes programme enables the addition of new industrial and academic partners and projects to an SFI Research Centre. TRANSITION will enable the employment of seven postdoctoral researchers and ten PhD students. It involves academics from Trinity (Prof Danny Kelly lead, Prof Mick Morris, Prof David Hoey, Prof Conor Buckley, Prof Garret O'Donnell, Dr Rocco Lupoi, Dr David Trimble), RCSI (Prof Fergal O'Brien), DCU (Prof Myles Turner) and UCD (Dr Eoin O'Cearbhaill, and Prof Pieter Bramaa).